There is more uncertainty in grocery shopping than in The Perfect Guy. You know what you want when you go to the store, and you generally know where to look, but there is always a small chance whatever you want will be out of stock. The same idea often applies to the movies. You go to the movies knowing the type of film you want to see, and you purchase tickets to the movie that seems to best meet your needs, but sometimes the final result is far too mundane to illicit any sense of fun or excitement. 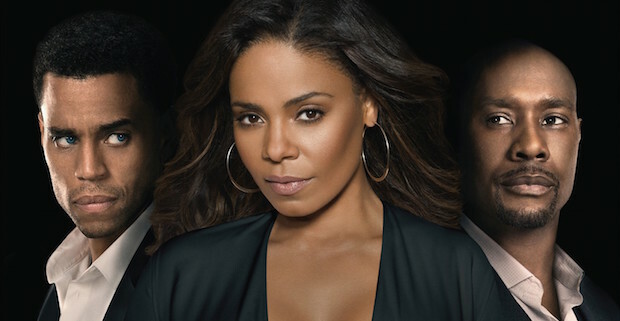 Love is the only area in life where Leah Vaughn (Sanaa Lathan) seems to struggle. A successful business woman well into her 30s, Leah has recently separated from her boyfriend of just over two years after realizing they were not looking for the same thing in a relationship. Leah wants a family, complete with children. Her new ex, Dave (Morris Chestnut), wants to be close to her, but having watched every member of his family struggle with their individual marriages he’s not sure it’s a path he wants to follow. Leah understands his concern, but she knows if she ever plans to have the future she envisions for herself she must try and find love somewhere else. Carter Duncan (Michael Ealy) is a mysterious and handsome man that crosses paths with Leah at a local coffee shop shortly before her relationship with Dave comes to an end. Leah finds herself running behind, and Carter offers her his latte so that she can hurry off to work. When their paths cross again months later, the spark that first appeared during that seemingly innocent encounter at the cafe reignites with an intense passion. Carter is the perfect guy, or at least he seems that way, but when a chance encounter with a stranger ends in a violent brawl, Leah must question whether or not she really knows anything about Carter and the life he claims to lead. The Perfect Guy bills itself as the tale of a woman who must decide whether to trust the man she’s spent the last two years dating or the handsome stranger she meets at the top of the film. This is, in fact, a lie. There is never any question as to whom Leah should trust. The bad guy is the bad guy from the very beginning, and the good guy is more or less the good guy from the start as well. We never have much reason to feel differently about any character on screen. Anyone who has seen any film where the charming new person seems too good to be true will see the so-called twist coming from early in the first act, and as a result everything that follows is nothing more than a trope-riddled romp through a predictable and all too forgettable romantic thriller that has not one original idea to offer. The film’s saving grace is its cast, particularly the ever-evocative Michael Ealy. Coming off a strong and twisted turn on the final season of The Following, Ealy slips into the role of Carter Duncan with ease. He has all the charm in the world, but in a moment he can shoot you a glance that sends shivers down your spine. It takes a high caliber of talent to convey a deeply layered individual with little more than a few facial movements, but Ealy finds a way to keep Carter’s psychosis at bay right up until Leah pushes him beyond the point of no return. Lathan and Chestnutt perform admirably as well, though neither bring anything to the table we haven’t seen from them before. Holt McCallany (Blackhat, Gangster Squad) also appears, playing the detective tasked with helping Leah make a case against Duncan. It’s the kind of role he appears born to play, with the weight of a dozen unsolved cases weighing on his face and shoulders, but the screen veteran stumbles through dialogue heavy scenes with all the conviction of a Taco Bell commercial. At its best, The Perfect Guy is a really, really good-looking Lifetime Original Movie. There is nothing you cannot predict from the film’s opening credits, but there is a simple charm to the cast that gives you just enough of a reason to stick around until the end. I would urge anyone genuinely interested in seeing this film to wait for its eventual arrival on their favorite streaming service, as there is not a single scene worthy of a theater’s $10 ticket price, but those so desperate for entertainment that they’ll take any bottom-of-the-barrel thrills as long as they’re projected on a big screen will probably find something to enjoy amidst the film’s 100-minute runtime. Just don’t be surprised if you cannot remember a single thing that happened five minutes after the credits roll.